“We love our furniture as much as ever, but I just made the mistake of power washing off the mold and mildew that was beginning to stain our clothes. As you can see from the attached, the result is not pretty. I’m figuring I can’t be the first guy to try a power washer … since that’s what you guys do, right? The “off” colors seem to be as hard as the rest of the stone. Have you got any idea what they are and what to do about them? Obviously, I had forgotten what those stones looked like when we got them. Was it almost a decade ago? Evidently it didn’t take long for them to assume their current color, so I will go ahead and power wash the rest of them. So what exactly would grow on stone? If you live in a humid climate most likely you may experience algae growing on your Stone Furniture, or any other furniture. Algae floats in the air and does not need a lot of nutrients to grow. It can get its food from a rock or air. Many people have to power wash algae from their siding, roof and overall homes. It likes to grow in the sun and is more related to plants. Common fungi are mushrooms, yeast and mildew and they need a lot of food and water. It grows on the forest floor, trees and in manure. Especially in the spring with all the water and requires organic nutrients for food and water. Now lichen, what we have here in the Rocky Mountains is actually a combination of algae and fungus. Algae attaches to the fungus. Fungus needs the algae and can break down soft stone, which is one reason why we carefully choose the type of stones we use. Mold in houses is a cousin of mushrooms and needs water, it loves houses because it thrives on sheetrock paper. Mildew favors skin cells and that is why it lives in showers. 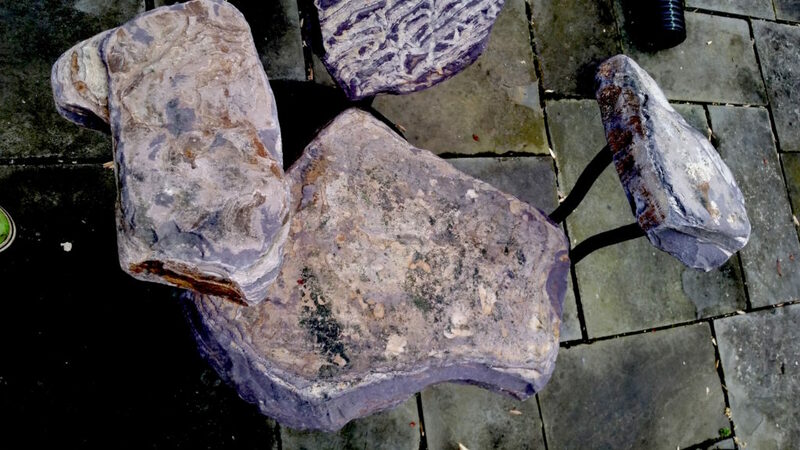 So it was true, his furniture was getting lighter in color, but it was because algae over a 10 year period had made the stone look darker.If you find that your Stone Furniture has algae growing on it, the professional advice is to power wash it. It’s that easy! How many furniture manufactures can say that something as simple as power washing your furniture will restore it to factory condition?